Contains very high antioxidant level of 11.65% vs 5-6% for mass-market teas. Character: Delicious with delightful fruity-like early season flavor. The superior quality Peacock #1 tea is exceptionally well graded with solid taste properties - slightly vegetative and fruity, but refreshing and clean. It is said that if you look closely at the infused leaf you will see the fan of the peacockâ€™s tail feathers. 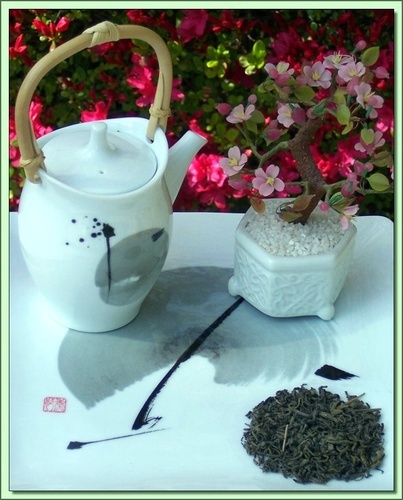 This tea has a delightful fruity-like character, which is on account of the plucking and time of year it is grown. The finest crop is plucked in the early season (March/April), before the May rains have swelled the tender leaves and the noonday sun stresses the tea bush to the point it affects flavor. Organic tea is produced without the input of chemical fertilizers or pesticides and herbicides. Certified Organic by QMI Organic Inc. Certificate #: 150 - 2008. USDA Certified Organic.